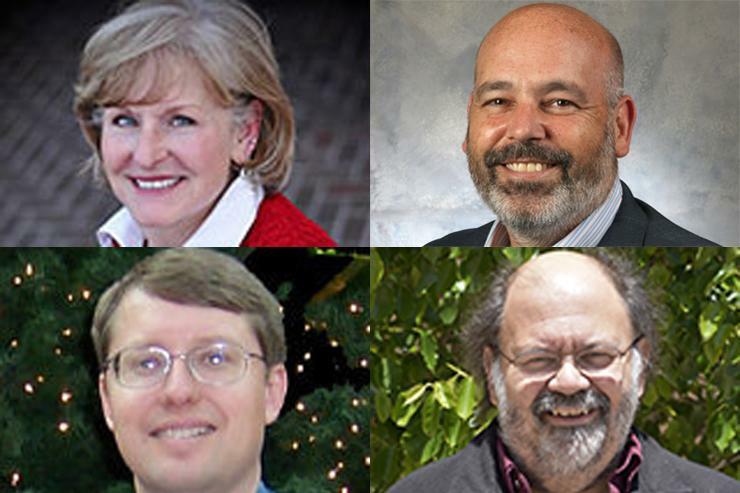 Four faculty members completed the Quality Matters certification for five online courses in the second quarter of 2018. Kathy Blair, professor, Helen and Arthur E. Johnson Beth-El College of Nursing and Health Sciences, received certification in NURS 6730: Advanced Health Assessment. The course explores the foundation and techniques of advanced health assessment across the lifespan. Juan-Maria Gallego, instructor of marketing, College of Business, received certification for INTB 6100: Managing in Global Markets. The course is designed to prepare students to anticipate global forces that impact present management. It examines the economic, the social-cultural and the political/legal context of global management. The course presents various concepts related to the internationalization process of the firm and frameworks related to global strategy. Robert Gist, senior instructor, Physics Department, received certification for two courses, ID 1050: Quantitative and Qualitative Reasoning Skills, and PES 1000: Physics in Everyday Life. In ID 1050, the course is designed to bring incoming students up to a minimum competency in quantitative and qualitative skills. It includes such topics as logic, arithmetic, graphing, statistics, problem solving skills and algebraic skills. In PES 1000, the course provides a non-mathematical overview of physics and how it affects our everyday life. Topics to be included are balancing and equilibrium, tornadoes, weather patterns, circus balancing acts, air conditioners, musical instruments and other interesting applications of physics. It is recommended for students with no science or mathematics background. Scott Switzer, instructional designer, Faculty Resource Center, received certification for his course CURR 5713: Instructional Design I. This course surveys models of instructional design and gives learners an opportunity to explore a model in more detail to produce instruction. In this process, learners break models into phases and produce deliverables that will be developed into a portfolio-style presentation. Quality Matters is a nationally recognized faculty-centered peer review process designed to highlight the quality of online courses and components. The Quality Matters rubric is the most widely used set of standards for the design of online and blended courses at the college level. At UCCS, Quality Matters certification is coordinated by the Faculty Resource Center. There are now 33 UCCS courses with the Quality Matters certification, the only online courses with the distinction in the CU system.